SCHIPPER Arts & Crafts goes modern with the “Polygon Painting Technique”. The motifs are divided up into geometric areas and their characteristic features are worked out in colours like computer graphics do. In the same way as beauty and brilliance of a raw diamond are unfolded by cutting, the animal portrait “Stag” achieves its distinctive characteristics due to its geometric abstraction. The sharp contrasts created by the abstracted colours, positioned side by side, reflect the animal’s character. The brilliance of the colours brings the motif to live. 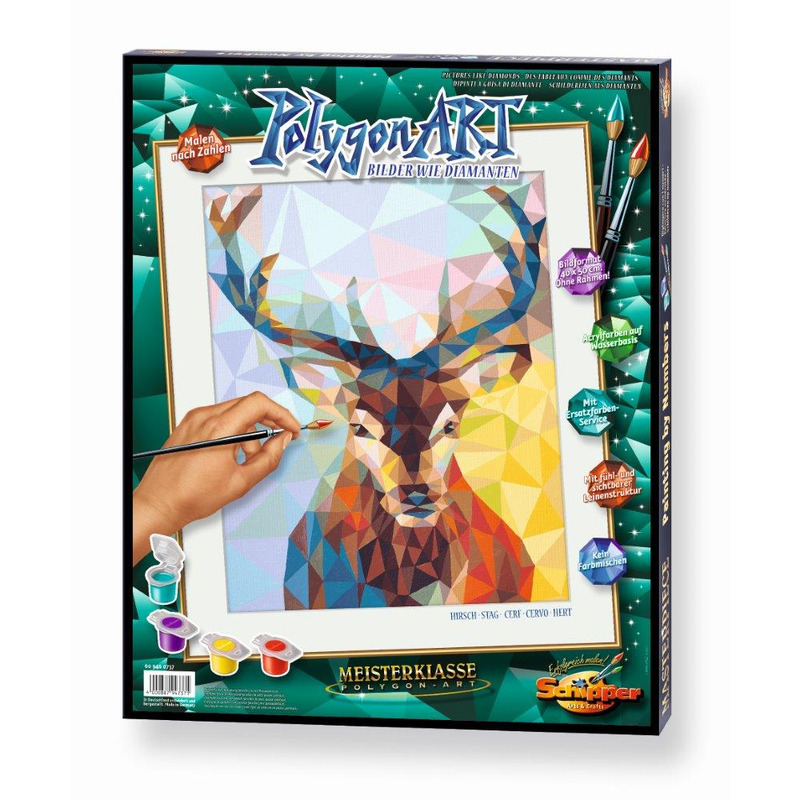 “Polygon Art” is a wonderful asset to the descriptive art and a brilliant challenge for every hobby painter.